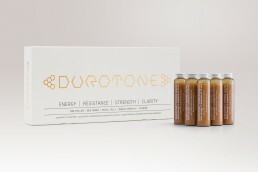 Durotone is a stimulating drink for the exhausted and for those who are in the need of an extra boost for their workout. The ingredients are mostly from bee derivatives, so we designed a logo which is inspired from the honeycomb shape and a packaging based on ultra matte paper and gold foil. 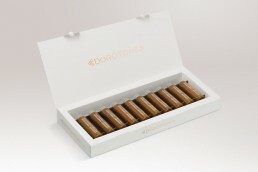 We wanted to create a simple and sophisticated design which would highlight the nature of it’s natural ingredients.